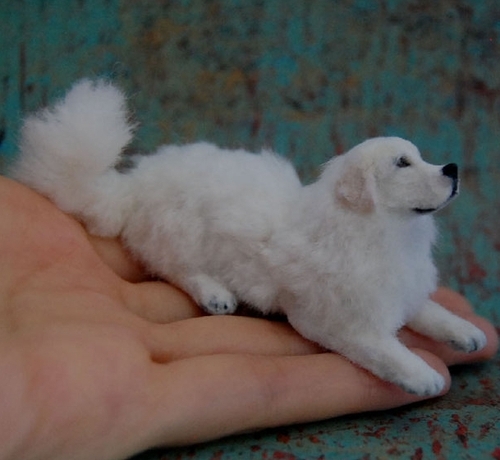 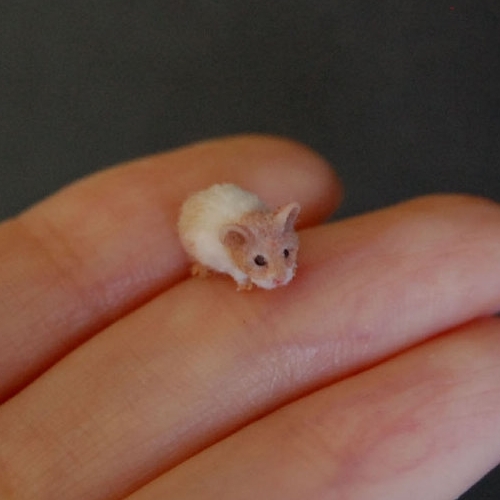 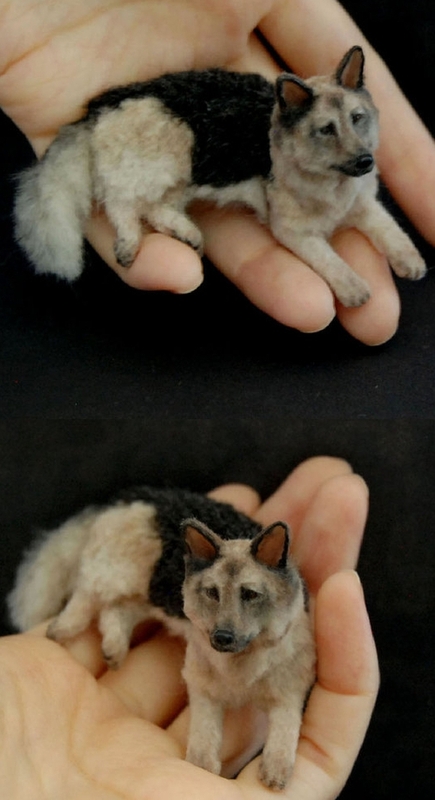 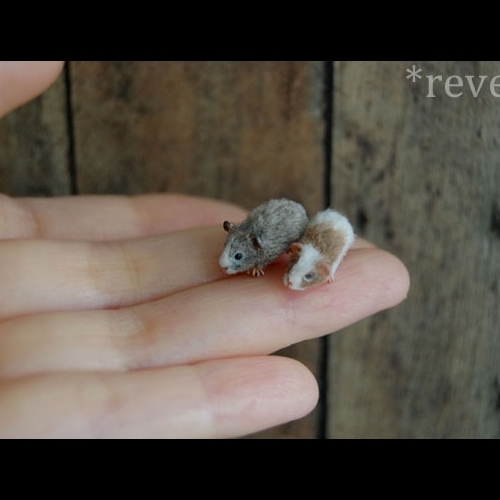 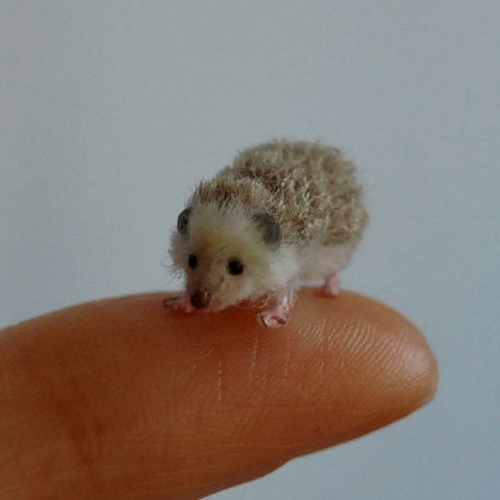 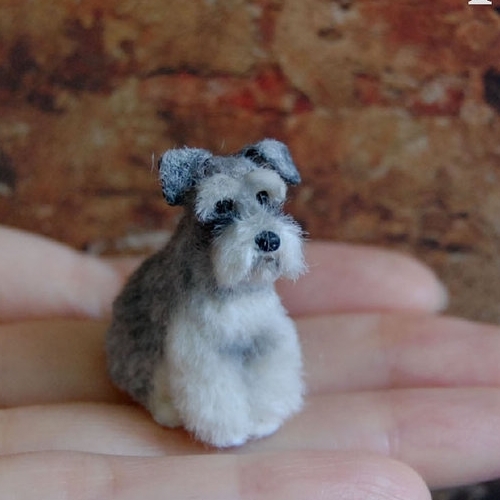 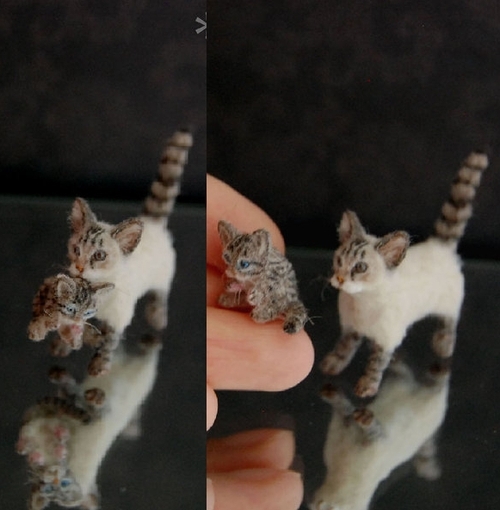 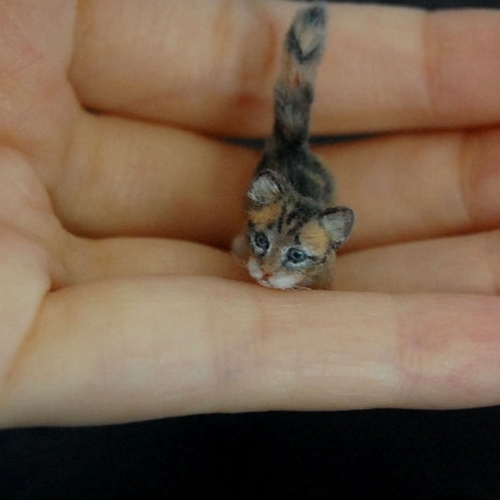 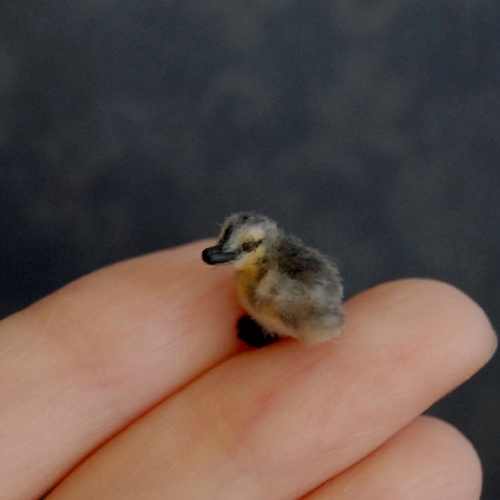 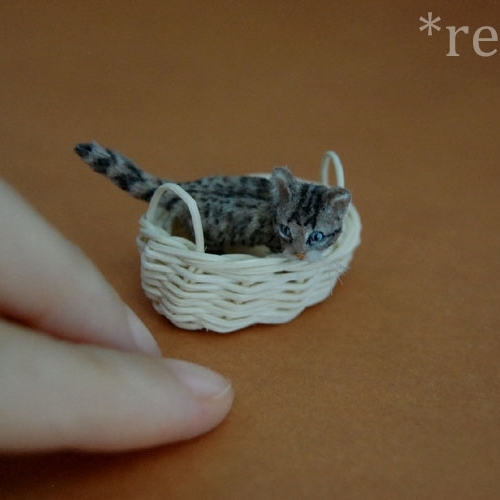 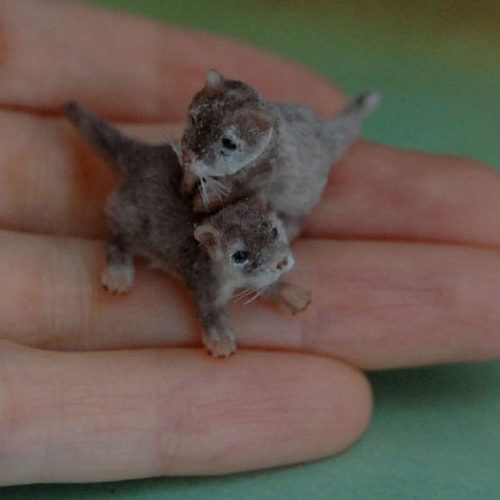 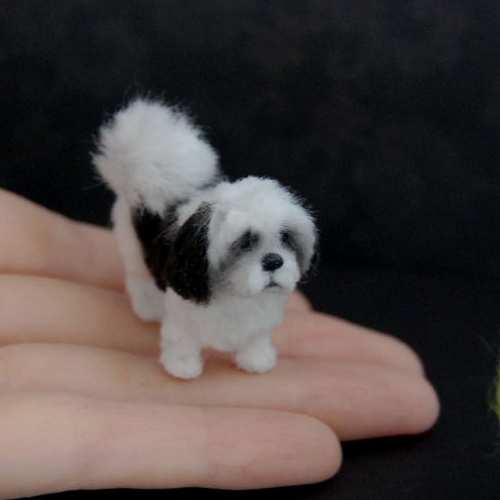 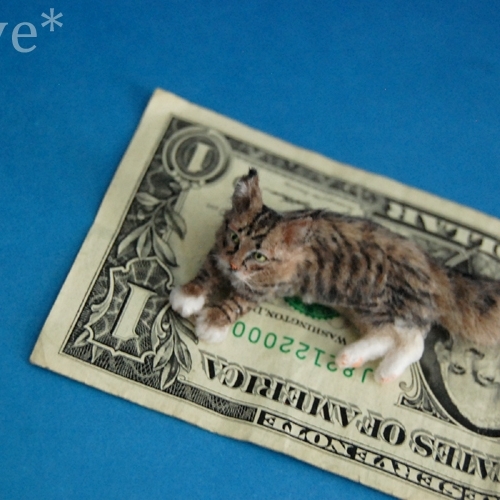 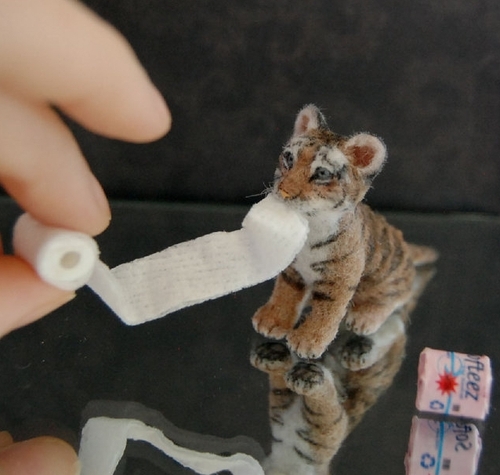 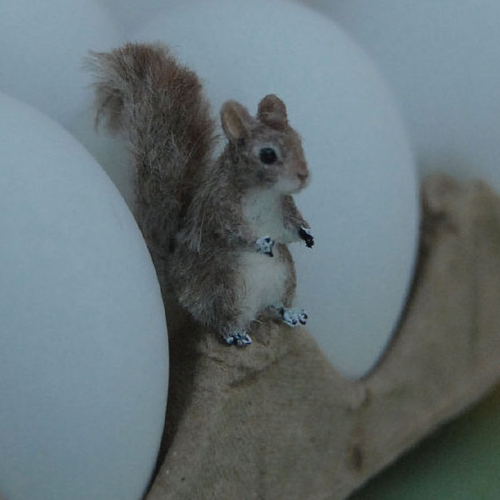 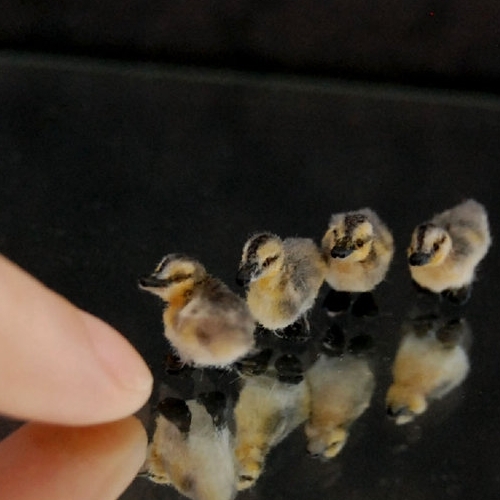 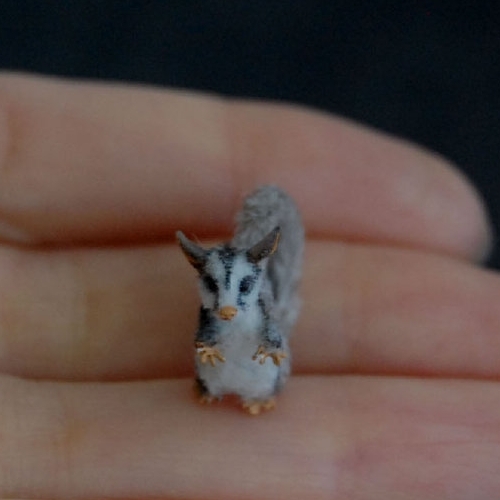 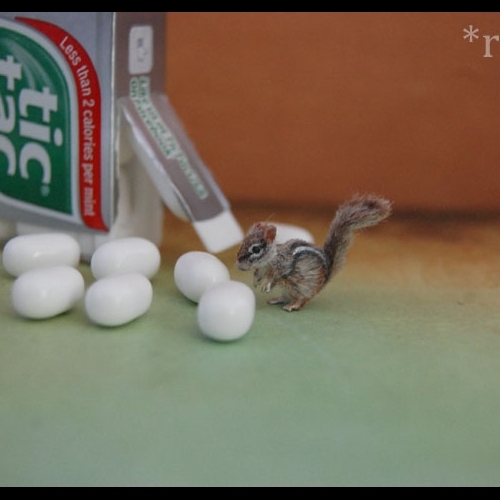 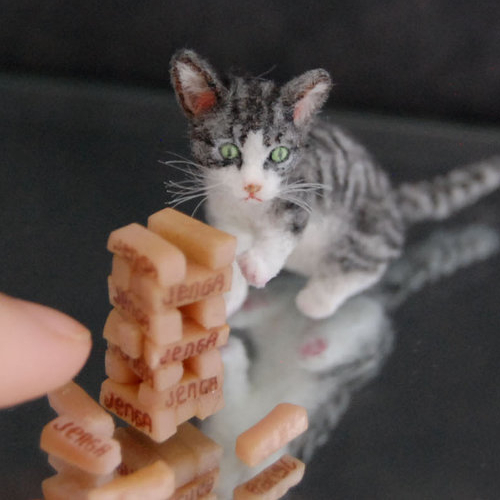 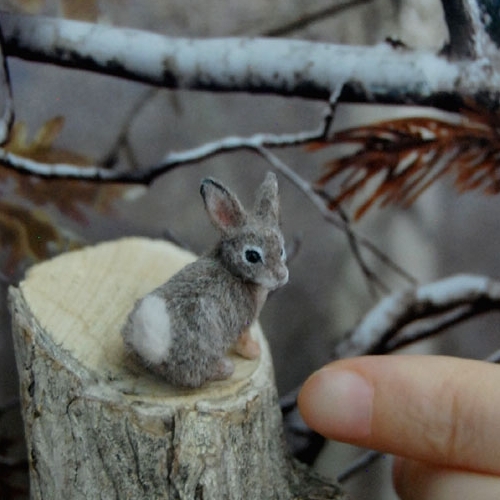 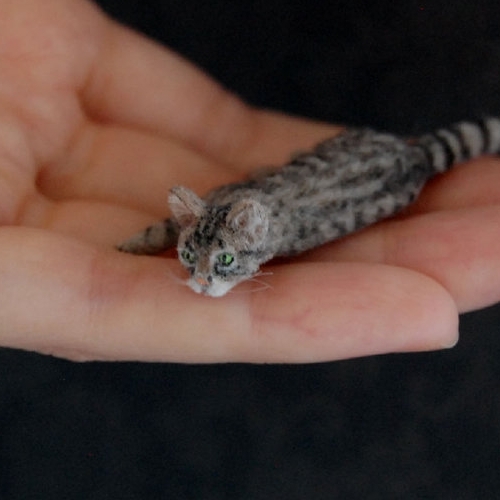 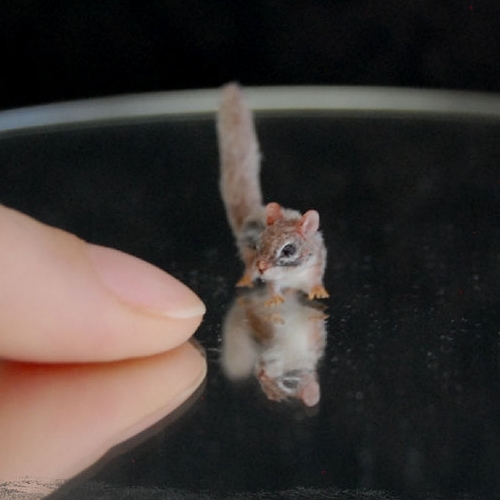 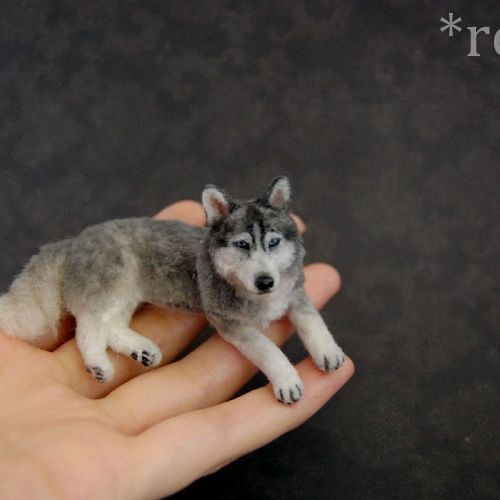 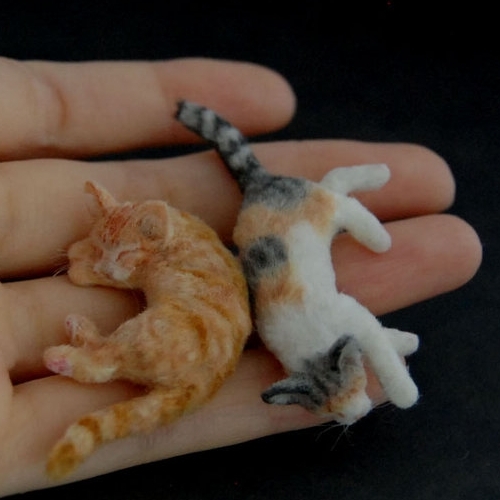 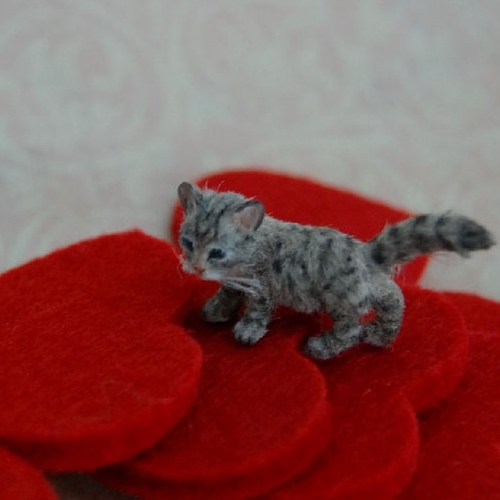 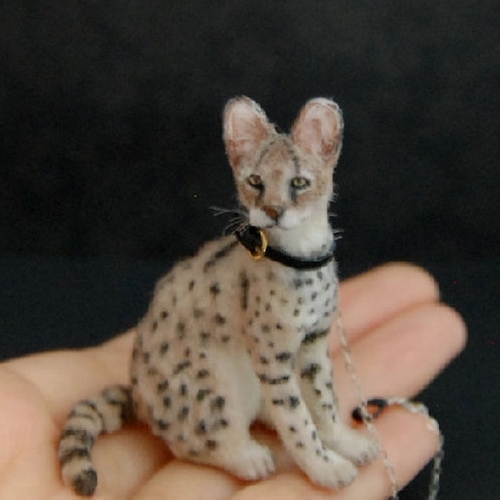 Self taught artist ReveMiniatures loves to make 1/12 scale (12 times smaller than the real thing) miniature animals. 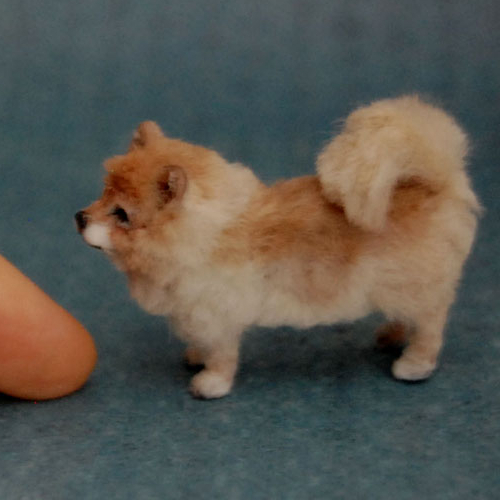 The size is not the only amazing thing, it's that he manages to create realistic expressions on his small models. 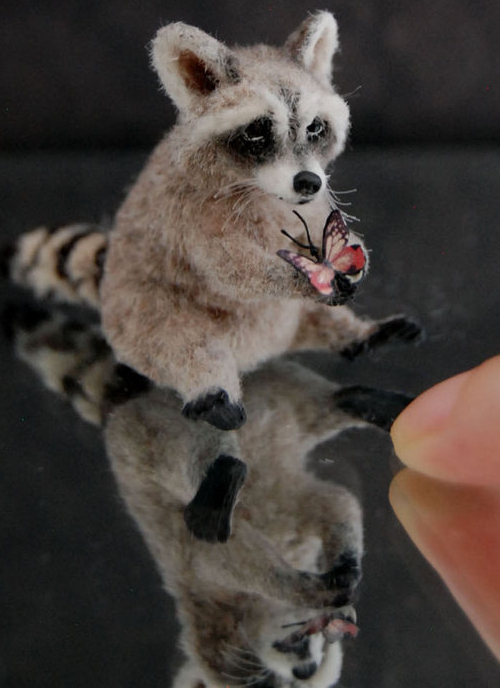 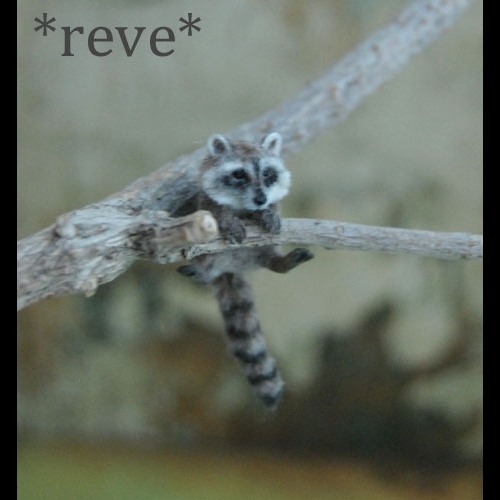 Reve mostly lists as his or her materials: polymer clay, natural fibres (yarn) and hand painted details. 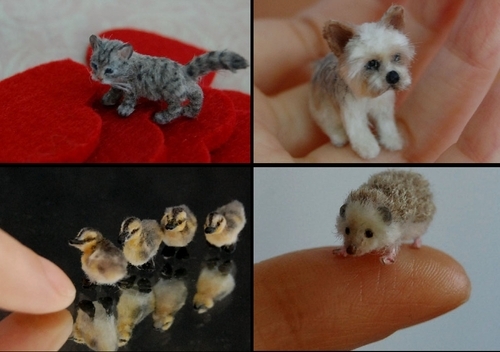 We have put together a collection of animals for you that includes Cats, Dogs, Birds and Wild Animals. 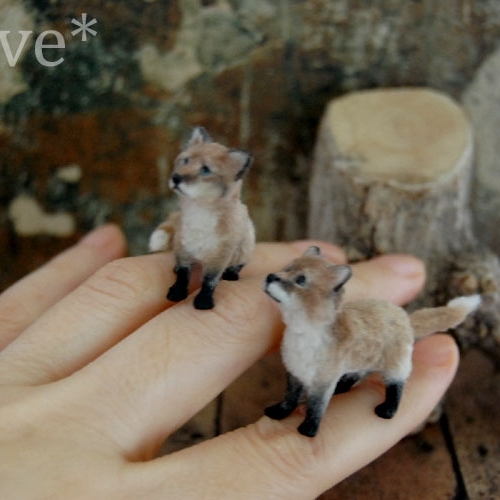 The Artist is ReveMiniatures, We are glad you like it. 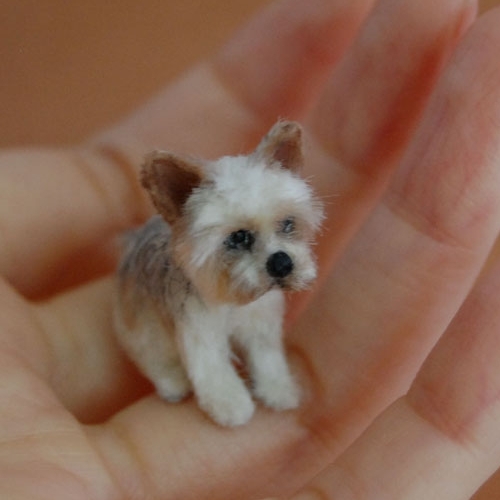 Do u sell these they are so cute and look so real!